Early Learning Nation: Ellen, welcome to the Early Learning Nation studio. Ellen Galinsky: It’s a pleasure to be with you. 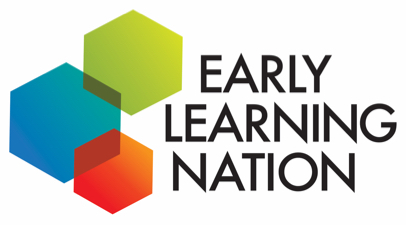 Early Learning Nation: There’s so much that we could talk about with you on the topic of early childhood learning. But maybe let’s start with your book, Mind in the Making and The Seven Essential Life Skills Every Child Needs. It was a groundbreaking book. But let’s go even before that, what sparked your interest in the topic in the first place? Ellen Galinsky: I didn’t start out to write a book, I really didn’t. I started out to make some videotapes for teachers to share the best research. I was doing a study of young people, kids from the sixth through the 12th grade and I was asking them about learning and I found, just in the preparation for that study that too many young people were turned off from learning. My question was what are we doing to turn kids off from learning? I went back to the best research actually doing focus groups listening to parents, they said, “I don’t want to hear research says, I want to know the researcher, I want to know how she or he knows what that researcher knows about my child.” That was a very big turning point for me, so I, with the camera crew, went out to ultimately about a hundred of the best researchers in the Untied States and abroad and looked at their research. As I was doing it I began to see these patterns and began to see that the kids who were thriving were the kids who had these skills, I ended up calling them life skills, because they’re important to the young children, but they’re just as important to us as adults. The first skill is focus and self control. That means being able to pay attention to what’s important, to think flexibly, to use the information you have and to have the self control to be able to reach your goals. People who are most likely to succeeded have goals and reach them. Perspective taking means to understand how I think and feel and how you think and feel and how that might be different. That is critical in understanding the world, the social world that exists, but it’s also critical in avoiding conflict. Communicating is being able to think about what it is you want to say, how it will be heard so you therefore communicate much more effectively. Early Learning Nation: You get back on the bike. A lot of people get back in horses, but yes, the bike. Ellen Galinsky: Finally, being a self direct, engaged learner. Because, I think, for all of us to thrive we need to be caring about something that we want to learn about. That’s the importance of Early Learning Nation. Early Learning Nation: Who’s the audience for the insights that you found and the conclusions that you came to? Ellen Galinsky: Well, it may sound obnoxious, but everyone. These are life skills, because they’re just as important to me. If I have a fight with someone, if I disagree with someone, understanding why they’re behaving, being able to take their perspectives is critical in being able to solve a problem. They’re very important for children to learn, because they are based on executive functions of the brain and the periods where those skills are developing most rapidly are the preschool years and then later on in adolescence. Early Learning Nation: I could imagine this being very useful in an office, really any personal relationship. The Mind in the Making book, as it were, of course it has moved well beyond the printed page. Early Learning Nation: There are some very exciting developments, particularly in the medical field. Can you tell me some of the work that’s going on and that you’re doing in the medical field? Ellen Galinsky: I didn’t want this to be a book and just sit on the shelf, although it continues to jump of the shelf, for which I’m deeply grateful. I wanted the knowledge to be there and useful for people. One important thing was to have a common language that people could begin to understand behavior in systematic ways. Another thing was to make this knowledge into things that we could act on. Among the things that we’ve done is we’ve taken this child development knowledge at the Bezos Family Foundation and we’ve worked with Mount Zion Parenting Center and their 17 minutes and a Well-Child visit, and we have taken all of the Well-Child visits from birth through five and we’ve put child development information into every one of them. Bringing science into action, most pediatricians get asked about behavior issues and they don’t really know, they’re not trained in their typical medical training, which is what Mount Zion is doing and will available free for doctors all over the country. We’ve also created what we call skill building opportunities, which take the challenges that teachers or parents or anyone involved in, grandparents, anybody involved in the life of a child. “My kid is addicted to screen time. I have a picky eater. My kids are fighting,” all those problems that are normal, and turn them instead of seeing them as managing bad behavior, you can see them as a way and opportunity to teach and promote a skill. We’ve created a list of books, library of books and materials, and we talk about how to read these books in ways that promote the life skills. Room is another product that we’ve created at the Bezos Family Foundation, that have tips for the time you already have with children. They turn everyday moments into brain building moments. We have modules that help people learn the science and then infuse it in their practice or in their lives, whether they’re a parent or a professional. Early Learning Nation: Ellen, the science that you have done and the science for Mind in the Making focused on the youngest among us, zero to eight, we’re all grateful for that. I’ve got adolescents, when are you going to turn the science and start to focus on adolescences? Any plans there? Ellen Galinsky: Absolutely. I’ve been working on this for three to four years. I’ve first looked at the literature very intensely. Then went out again through the foundation with a film crew and filmed about 35 of leading researchers on adolescents’ development around the world. Next, I’m going to be writing a book and at the foundation we’re going to be creating all kinds of materials for adolescents, including, what I hope we do is materials for adolescents to understand their own development, it’s really pretty interesting. Early Learning Nation: I bet. Ellen Galinsky: Adolescents are pretty misunderstood. Why they act the way they act is actually very positive, and what they need to learn in their life. If we can begin to meet those developmental needs of adolescents I think it will be much less conflict late in time. Early Learning Nation: I should probably then let you go, because you need to go finish that work fast, people need it. People like me. Early Learning Nation: Thank you, thank you so much.